There is one dumpster rental service in all of Bellevue that the people trust wholeheartedly. Only one dumpster and bin rental company that offers outstanding customer service to the people and businesses of Bellevue 100% of the time. Only one service that offers the best value and customer communication. Who’s this amazing dumpster rental service in Bellevue, TN you ask? It’s the one and only Junk Bucket Dumpster! Junk Bucket Dumpsters have stolen the hearts of Bellevue over the years. We’ve earned this stellar reputation and rapport with residents and business owners in the area because of our constant efforts towards perfection in customer service, customer care and value. We ensure that you get what you want and get what you pay for every time you use our service. We go above and beyond to stay in constant contact with our clients and to ensure that they are more than just satisfied, we want our Bellevue clients to be WOW’d! 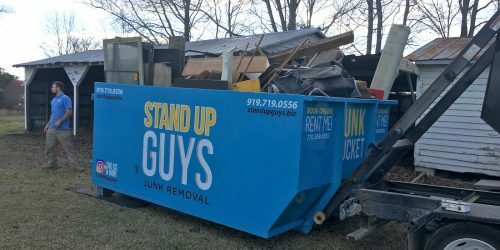 Another great aspect of using the Junk Bucket Dumpster opposed to other ugly dumpster rental services, is that you can get rid of just about anything! You name it and you can chuck it into a Bucket! We have also custom designed our Junk Bucket Dumpsters with the customer in mind. We made the walls shorter than most dumpsters. This makes for easy loading for you. We also have doors that go all the way to the floor, that are easy to open. This makes it so that our customers can simply walk into the dumpster and drop their junk inside. Oh so effortless. We have already established that The Junk Bucket is the number one dumpster rental service in all of Bellevue and the surrounding areas. Don’t worry though, the good news isn’t over yet. There’s more. The Junk Bucket is also uber easy to order and have picked up. We make the entire process as easy as pie. First, all you have to do is pick up the phone and give us a call at 615-647-0634 and let us know when and where you want your own personal Junk Bucket Dumpster. Once you let us know, that’s all you have to do. At the time that YOU requested, our uniformed professionals will be out to hand deliver your Junk Bucket. We will drop it where you need and let you take over from there. At that time you can fill the dumpster with whatever you need and you can do it on YOUR timeline. Keep it for as short or long as you need. Whatever works best for you. Once you have finished your project. Simply give us a holler and let us know. We’ll be right over to pick up the Junk Bucket and properly dispose of everything right then and there. See, simple as pie.